Fat One Piece fork Covers by Sumo-X. These Fat Fork tube covers have a One Piece Design for a super clean look. Sumo-X fork tubes completely encircle fork legs for a smooth look unequaled by anything else available! Starting as 3" O.D. thick wall billet alloy tubes, they are tapered on each end to blend with the upper triple tree and at the base to conform to the upper seal fork seal. 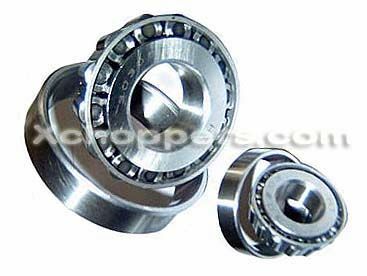 They are also precision machined to allow the lower triple tree to protrude through them for a precision appearance. Machining is done on sophisticated computer numerical control machines for a precision fit. 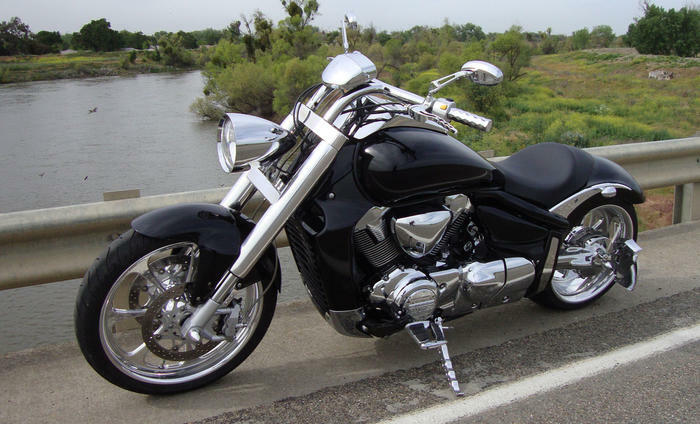 Available now for Suzuki M109R with inverted forks. Please select for installation with stock triple trees or Sumo-X +6 degree triple trees from the options pull down menu below. Shown Above on Xchoppers 2007 M109R with Sumo-X 6 Degree Triple Trees, Sumo-X 21" Front Wheel and 7" Custom Headlight, also available from Xchoppers.com. Note these covers are available in High Polished Billet Aluminum (shown), Gleaming Chrome, or Powder Coated Black Finishes. Please select your desired options below. 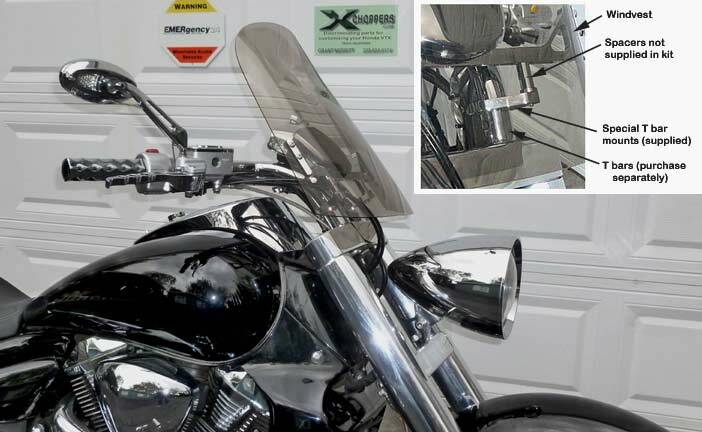 Polished aluminum is shown in the photos. 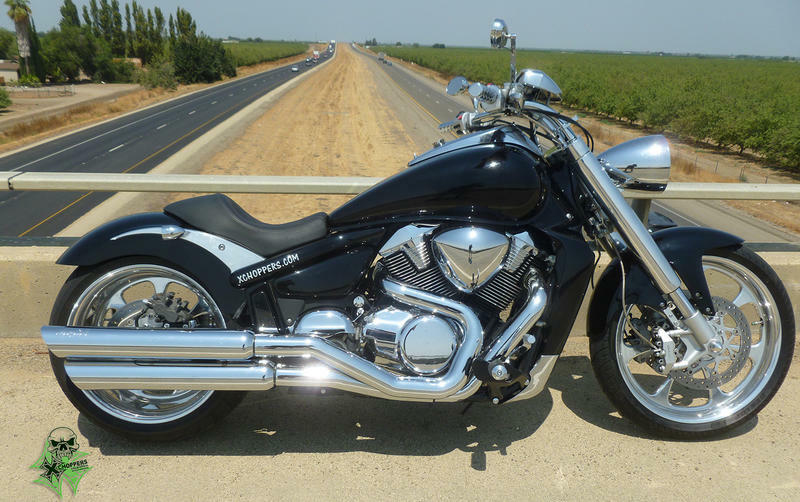 This photo shows Xchoppers own M109 shown above with Vance & Hines Big Shots, Sumo-X triple trees, fat fork tube covers, Sumo-X rear fender, seat & struts, Custom 7" headlight, 21" front wheel, 10" wide rear wheel / Metzeler 280 tire, + more. 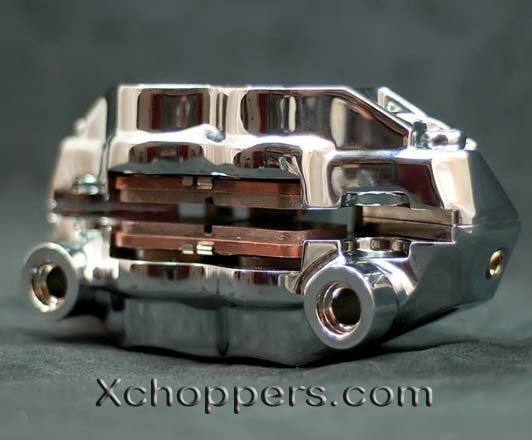 All parts used to transform your M109 can be found here at Xchoppers.com. More photos of this bike can be seen in our gallery (see link at top of this page). 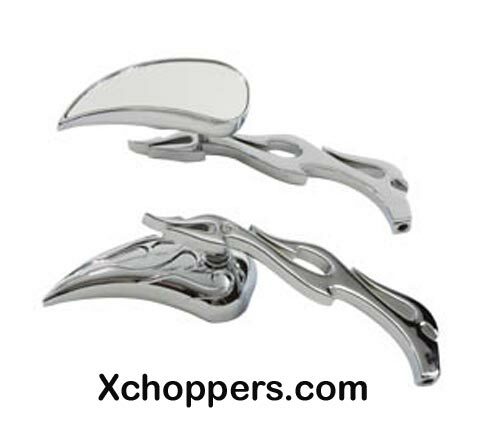 Call Xchoppers for more information: 209-833-6174.